A new pilot program from the Department of Veterans Affairs intends to assist student veterans enroll in non-traditional programs that teach high-tech skills. Called the Veteran Employment Through Technology Education Courses (VET TEC) program, it was first announced on Feb. 13 on the GI Bill website. In an article for Military.com, Military Benefits Editor Jim Absher reported that the primary difference between the VET TEC program and the Post-9/11 GI Bill is that the classes are much shorter than regular college or vocational training, sometimes requiring only months or weeks to gain certification. According to the Veterans Administration (VA), the VET TEC program, set to start in April, focuses on high-tech skills that are in demand in today’s workplace, including information science, computer programming, data processing, media applications, and computer software. 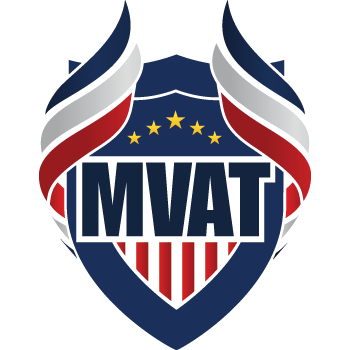 The MVAT Foundation commends programs like VET TEC for reinforcing the shared beliefs that veterans can thrive in every workforce. MVAT’s Veterans In Every Workforce campaign champions innovations and opportunities for veterans to thrive in any sector or industry in the American workforce. As Absher, a U.S. Navy veteran, made clear, VET TEC is designed to move veterans into the job force faster than a traditional college program. Acquiring essential skills in such a short time gives a veteran the opportunity to advance his or her career sooner rather than later. And making use of the Heroes Linked program allows for rapid networking to jump-start or advance a veteran’s career. All veterans currently eligible to use their GI Bill – Montgomery or Post-9/11 – are qualified for the program as long as they haven’t passed the time limit to use their benefits and have at least one day of benefits remaining. VET TEC will pay a housing allowance and cover tuition costs just like the Post-9/11 GI Bill. To combat fraud, waste, and abuse by predatory educational institutes, Absher reported that the VA would pay the training provider 25 percent of the course cost when a veteran enrolls. Another 25 percent will be paid when the veteran complete the program. 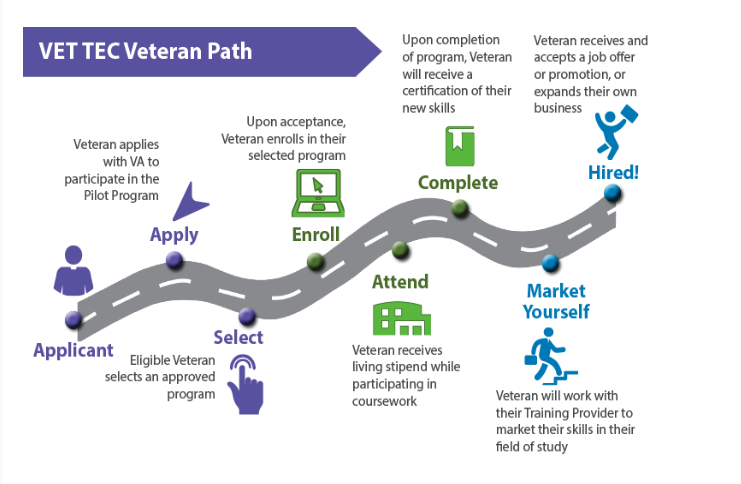 The remaining 50 percent of the cost of training will be paid to the provider only when the veteran “secure[s] meaningful employment in the field of study that you enrolled in.” According to the VA, training providers can be listed as a “preferred provider” if they agree to return all money they got from the VA if the veteran fails to secure meaningful employment within 180 days. According to the VA, an online application for VET TEC will be available soon. The GI Bill website will be updated with an application, as well as a listing of all approved places veterans can use the program.